As proud supporters of the England and Wales Cricket Board, Autoguide Equipment - manufacturers of the Auto-Roller, asked cricket clubs nationwide to register with the NatWest CricketForce scheme to be in with a chance to win a brand new 3ft Auto-Roller. At a value of £12,000 including vat, the company wanted to give something back to the clubs that have supported them over the past 90 years. Claire Espley, the company's Sales and Marketing coordinator, takes up the story. "Although the Auto-Roller is now exported world-wide to countries such as the West Indies, Pakistan and Australia, the importance of supporting growth in cricket's home country is something we are very passionate about. Through Lord's and Edgbaston, all the way to the island of Jersey, the Auto-Roller has become a symbol of cricket heritage, providing cricket clubs with the professional turf finish demanded by the world's top groundsmen. "At Autoguide Equipment, we wanted to say a huge thank you to all of the clubs who have supported us over the past 90 years. 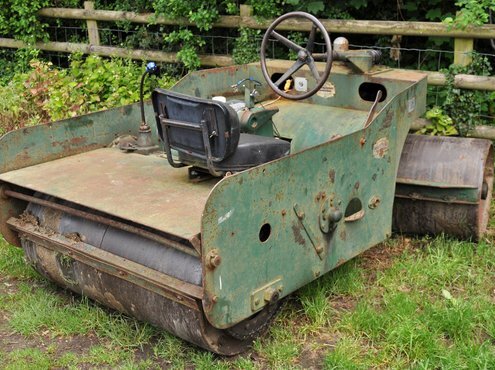 The first Auto-Roller was sold in 1927 and many of our oldest rollers are still running on a pitch near you today!" 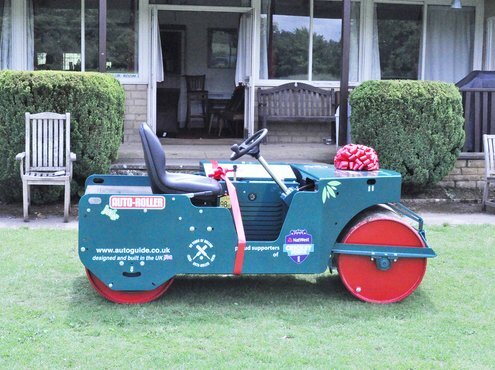 "Our specially made 3ft Auto-Roller was awarded to Slaughters United Cricket Club in the Cotswolds! We were blown away by the interest in the competition and wanted to say a massive congratulations to the lucky winners. Taking delivery on Friday 1st June of the new 3ft Roller at a value of nearly £12,000 inc VAT, the groundsmen were over the moon. We hope their brand new Auto-Roller offers them many years of trouble free rolling." 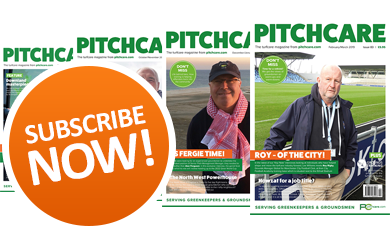 Slaughters United's delighted Vice Chairman, Paul Heming commented: "Ensuring that our cricket pitch is kept maintained to the highest standard has always been a top priority. Previously, with our 1950 4ft Auto-Roller, rolling the pitch was quite a chore with visibility being poor and the precision in the rolls just not being there. Now, with the brand new 3ft Auto-Roller in use we have now immediately seen the improvements to our pitch and we can't get the groundsman off it!" "We can rest easy knowing that the Auto-Roller will last a life time, and it's one less thing to worry about for the club. 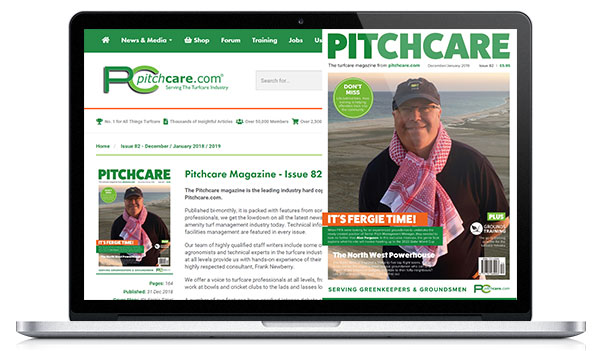 I'm keen to see the improvements that will undoubtedly be made to the overall standard of the pitch and, as a result, the cricket being played on it." Claire concluded by saying; "At Auto-Roller, we help to ensure cricket clubs and schools world-wide can keep their older machines running whilst working to innovate and develop our brand new range which offers an easy electric key start, smooth power steering, precision machined rolls and a fully hydrostatic drive. Crafted by our engineers with a wealth of experience at our workshop in Wiltshire, the quality of the Auto-Rollers has, without exception, remained unbeatable to this day." 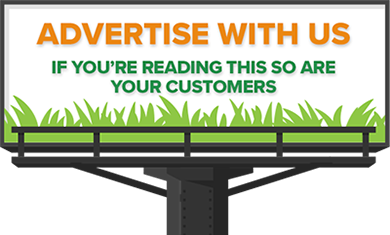 "Our team of friendly staff and engineers are always happy to help, so please don't hesitate to call the office, Autoguide Equipment Ltd, on 01380 850885 or contact us via our website www.cricketroller.co.uk." "Thank you to everyone who took part in the competition, and make sure to keep your eyes peeled for future exclusive offers and competitions!"